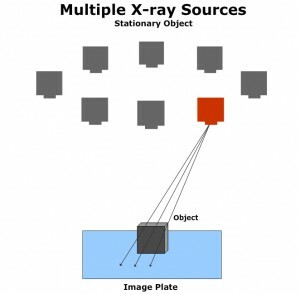 Digitome three-dimensional x-ray imaging technology has been applied for decades, primarily in government, defense, and aerospace applications. There are five current patents, one of which is Japanese. There is a substantial archive of successful exams involving a wide range of materials and objects. Usually, a test exam is feasible depending on the radiography required. Any penetrating radiation can be applied in a Digitome exam—e.g., neutron and gamma—as long as the requisite pre-work is accomplished for the exam environment, including specification of a digital detector adequate for the radiation exposure. The VRS-2400 product is affordable—under $20,000—and offers fast, dimensionally accurate, and complete volumetric image data in a flexible configurations, including cabinet, vault, and portable units. Portable configuration allows exams in museum spaces. With proper radiation safety procedures and a portable x-ray source, an exam out in the museum gallery space is feasible—no need to move objects. We offer onsite exam services on a contract basis. A site survey and requirements document are completed prior to the purchase of a system and services. Definition tasks are required to ensure that expectations can be met. Consulting on exam techniques for specific exam situations is available. 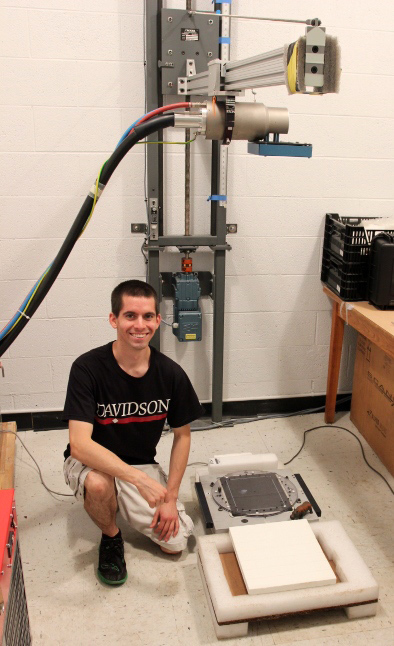 Training and support is available by phone and remote internet access and at customer site depending on schedule availability, or at the Davidson Lab on the Digitome cabinet system. A price list is available upon request.